HR salaries: Who’s making the most money? Find out what various HR roles are paying and which jobs are in the highest demand, according to a new salary and employment forecast. Want to earn the big bucks in HR? Your best bet is to become a generalist HR director for a large company, according to the Michael Page Salary and Employment Forecast. 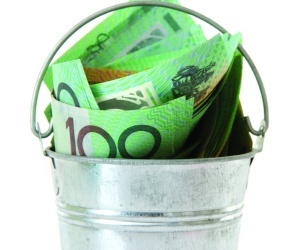 HR directors at large companies in the states surveyed – New South Wales, Victoria, Queensland, South Australia and Western Australia – topped the salary charts, with most of them earning more than $200,000 a year. However, those in senior specialist roles are following close behind. Those in large companies tend to earn from mid to high $100,000s, sometimes up to $200,000. John MacLean, the regional director of Michael Page human resources, said remuneration specialists were in high demand, due to the entire recruitment market being less buoyant than hoped in the past year. “There’s not been a huge amount of recruitment happening in a lot of key areas. What organisations are trying to do is look after and keep their key people so part of retention of that nature is a major focus for most organisations. Part of that is what they’re paid so there has been an increase in making sure that that is correct,” he said. Other specialist roles in demand included learning and development and internal recruitment specialists. The sectors hiring the most HR professionals were banking, IT, retail and government, with the number of global retailers opening stores in Australia helping to drive the trend, while government positions were mostly temporary roles, especially in project and change management. “There’s been a strong demand for contractors. We’ve seen that across the board but specifically in government organisations,” said MacLean. He said that while most HR professionals would have had a pay increase this year, it would likely be in line with CPI and would performance-based. The chance to broaden their skill set and take on new challenges was a leading reason for HR professionals to change jobs.